Yes, Paul Ryan. Let's Try THIS Again. 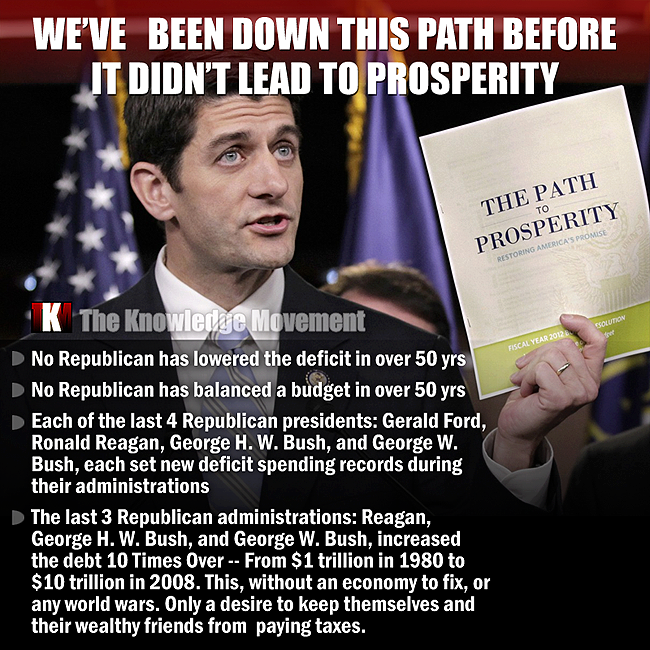 Home › Government Programs, Politics, Taxes › Yes, Paul Ryan. Let’s Try THIS Again. One thing I get tired of hearing about is how Obama somehow managed to ring up the more than $16 trillion budget deficit all on his lonesome in only four years. No, what we couldn’t afford were the eight years previous to the Obama Administration. 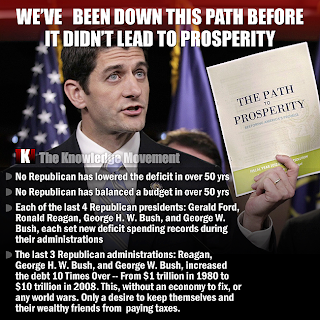 While I agree that something should be done about the alarming growth of the deficit, the Paul Ryan budget doesn’t exactly fit my priorities. Because making up for years of disastrous deficits, brought to us largely by wars and tax breaks for those at the top, by penalizing those who most need our help, is not my idea of the way to do things. Yes, hard decisions need to be made. But gutting the entire social safety net is not the way to go about it. I find our national priorities disturbing. And I’m still annoyed that we somehow think that those at the top of the income scale are somehow too holy to touch. Besides, it’s not like this budget, no matter how “impressive” some may find it, will actually balance the budget as claimed.